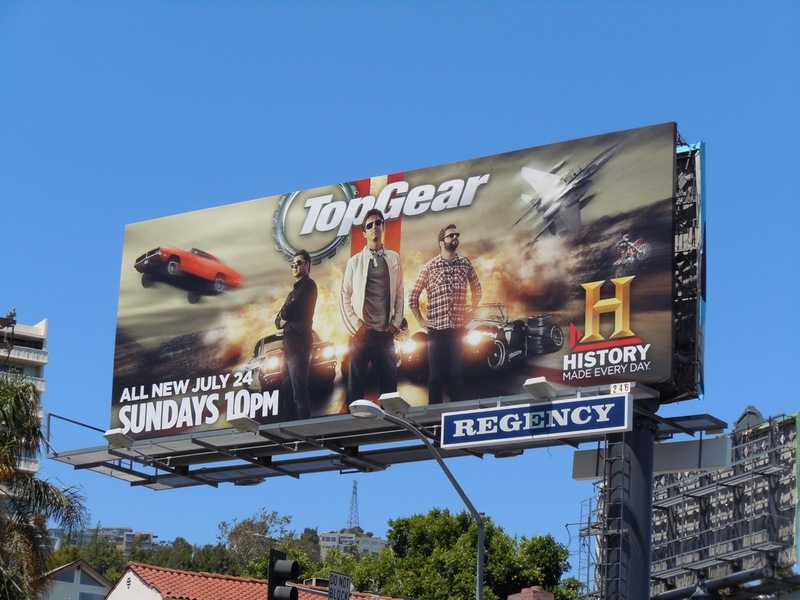 Today The History Channel's version of BBC's Top Gear show returns for a second season, this time with a much more action-packed billboard than the first season creative. So if you like fast cars, jets and motorbikes, this American remake is the series for you. 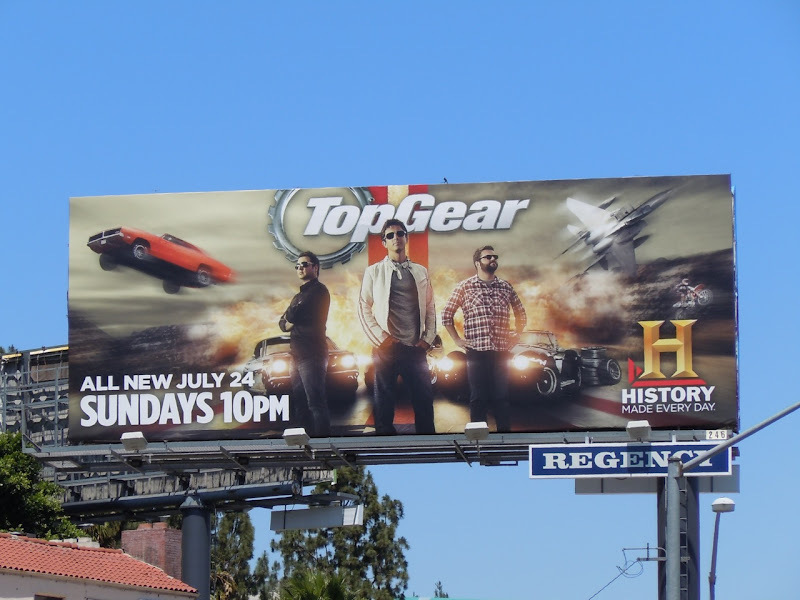 This cool TV billboard was snapped along Sunset Boulevard on July 1, 2011 and don't forget to also check out the season one billboard for Top Gear USA.